WhatsApp is widely abused by spam and misinforming forwarded messages. Often many of these forwards contain malicious links and in an effort of sensitizing users, WhatsApp has introduced a new feature which it was earlier seen testing. With the latest beta update, WhatsApp will inform users when they receive a link that is potentially malicious, suggesting them to not open the link. To alert users, WhatsApp will add a red label saying “SUSPICIOUS LINK” at the top of the link preview. The feature will also notify users once again with a warning message after they click on the link. From initial appearance, it looks like that the feature only flags links that use special characters, and occasionally when the link uses HTTP protocol instead of the more secure and updated HTTPS. 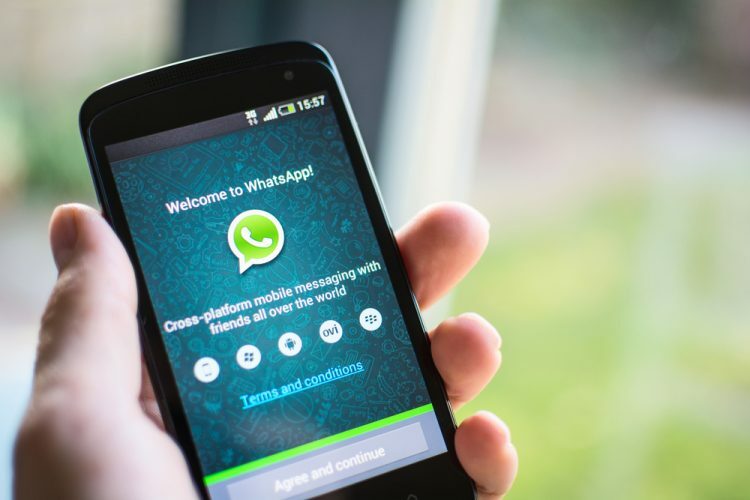 It is because WhatsApp chats are encrypted that these links are tested locally and not verified against an online, and thus more reliable, database of malicious links. Inevitably, this will result in the app bypassing some sensitive link while incorrectly flagging some others as suspicious. The feature is currently limited to beta users on Android and we hope the company to straighten it out and make it more reliable before bringing it to the stable build. Nonetheless, with the large volume of spam links shared by WhatsApp, this feature will come in handy while dealing with pages spreading misleading information or even malware. 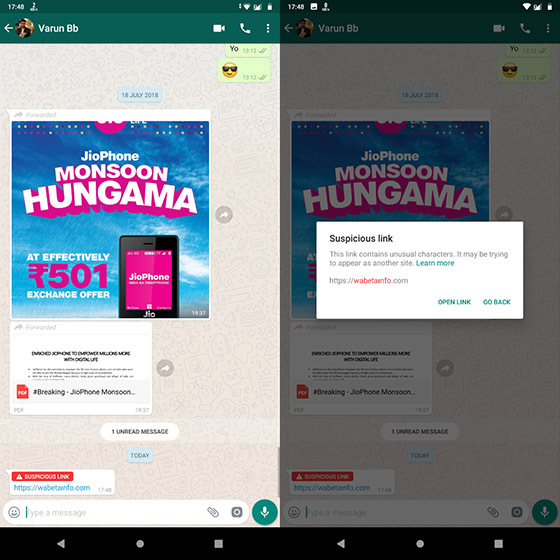 Additionally, WhatsApp is also building special features to contain misinformation on its platform and intends to limit forwarded messages to five per sender. It has also partnered with several social institutions and is now building a program for the digital literacy of its users. Simultaneously, it is also building some latest news verification tools to help the government contain the amount of fake news spread through its platform, especially in the wake of national elections in India next year.